Is henna safe? YES! 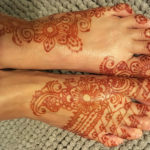 Natural henna is one of the safest activities available for body art. 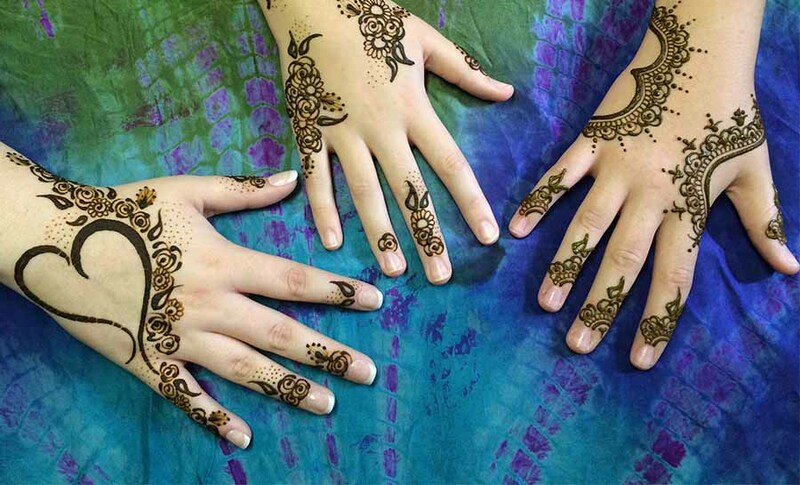 Henna has been around since 6500 BCE as a way to dye the hair, nails, skin, and livestock. That being said, there are an awful lot of things out there being called henna that are not actually henna. Many of these things can be extremely dangerous. 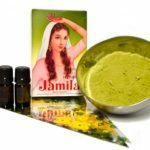 One of the most important things about henna safety is being sure that you are using good quality natural henna. The first thing to know is that henna is not black. Safe natural henna is applied as a paste that looks black as it dries. It leaves an orange stain the darkens to a red-brown color over a few days. Samples of the life of a natural henna stain. Stay safe by knowing how to identify “black henna,” adulterated henna, disorders that can effect henna, and how henna reacts with children. 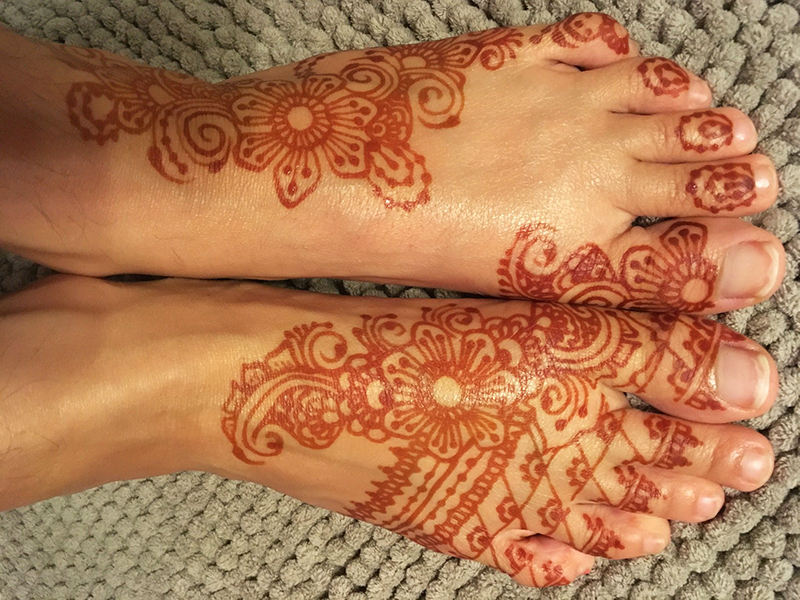 Read the articles below to get detailed information about specific safety subjects regarding henna. NO! Henna is NEVER black! Learn the difference between natural henna and unsafe products. 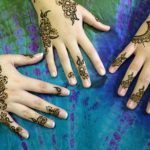 An easy checklist to be sure the henna you are getting or using is safe! 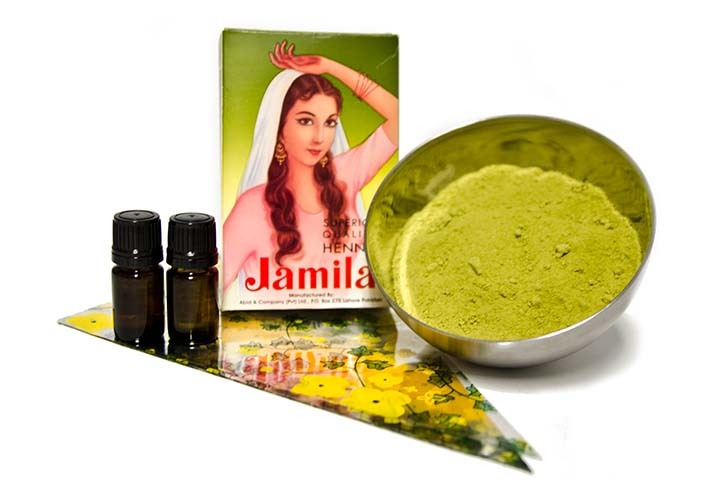 Adulterated henna can be extremely dangerous. There are more dangers in fake henna than PPD. Henna should be used with caution on children and never on infants.